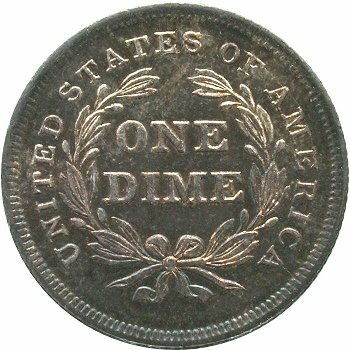 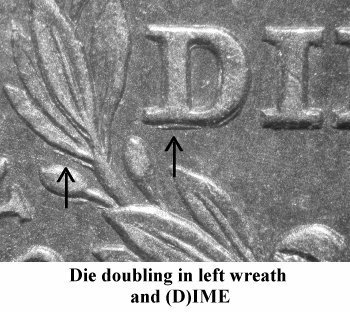 Comments: Early die state Obverse 2 examples are always well struck. 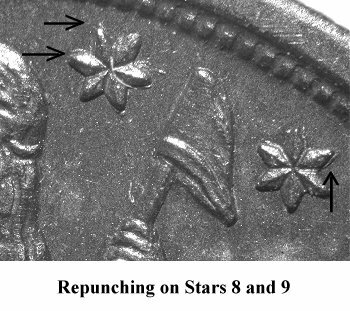 Stars 1, 8, 9 and 12 show significant repunching. 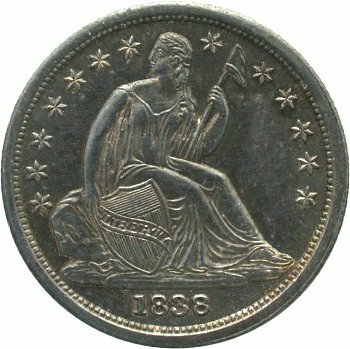 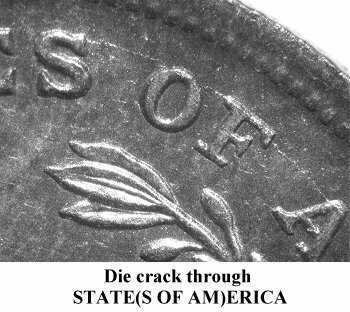 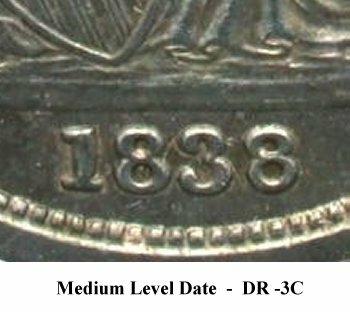 Reverse A, which was first paired with the Small Stars obverse, is now paired with Obverse 2 and continues to age with the progressive die crack through STATE(S OF AMER)ICA.